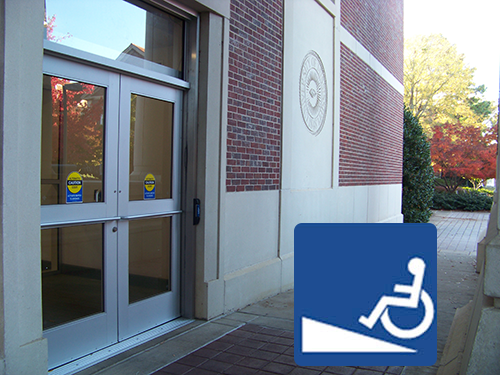 For wheelchair access, we offer ramps for wheelchairs at both east and west entrances. 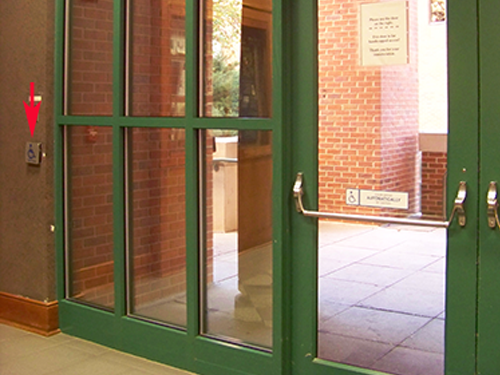 The West entrance is (fountain-side) is the more accessible entrance with automated doors and a more gradual straight ramp. 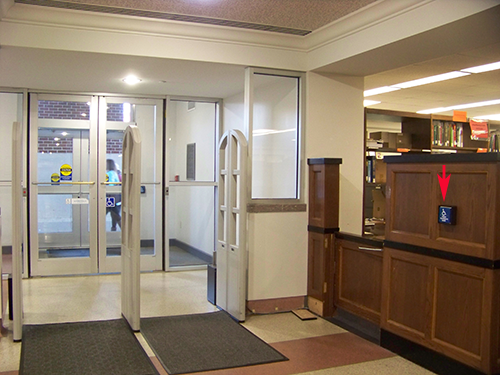 There is easy access to all floors of the library by elevators. 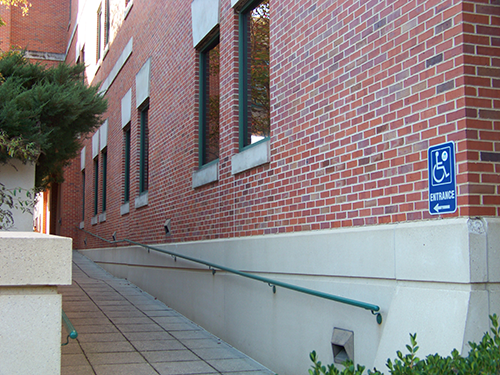 Accessible restrooms are available throughout the building. There is also a wheelchair and other assistive devices located within the library. 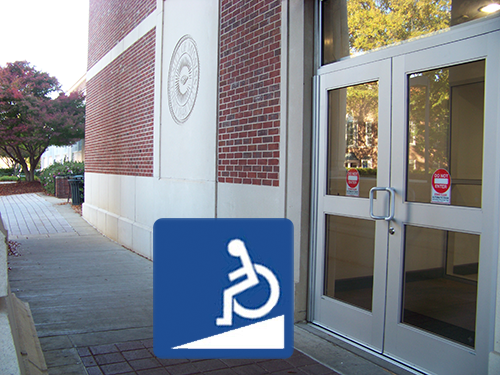 For more information regarding accessibility in the J. D. Williams Library please contact Stan Whitehorn.